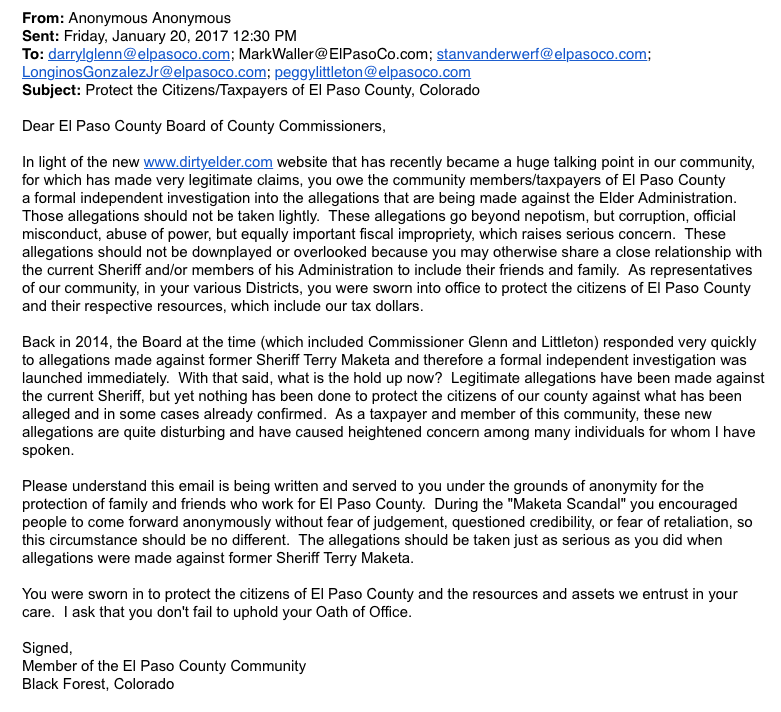 Below is a letter sent to the county commissioners concerning the corruption at the Sheriff’s Office; more accurately the corruption by Bill Elder, his command staff and cronies. This letter was forwarded to us. We encourage EVERYONE who believes the facts we have presented justifies an independent investigation and financial audit to send an email or letter to the county commissioners. If you are currently an employee please state that in the letter. Here is your chance to have your voice heard.